Disclosure: This post is not intended to diagnose, treat, or cure any illnesses. I am not a doctor and cannot dispense medical advice. 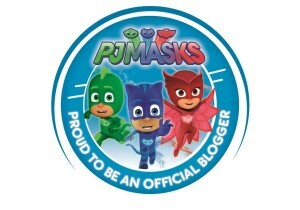 LoveBug sponsored this post, but all opinions are my own. Oh boy. We just got through some CRAZY virus season. We were so worried about the flu that we forgot about some other illnesses like strep, stomach viruses, and adenovirus. Yeaup, we had ALL those and now dealing with some croup or bronchitis activity at the moment and another day spent in the pediatrician’s office. We are pretty fortunate, though. When illnesses inevitable pass through our home we get over them pretty quick. 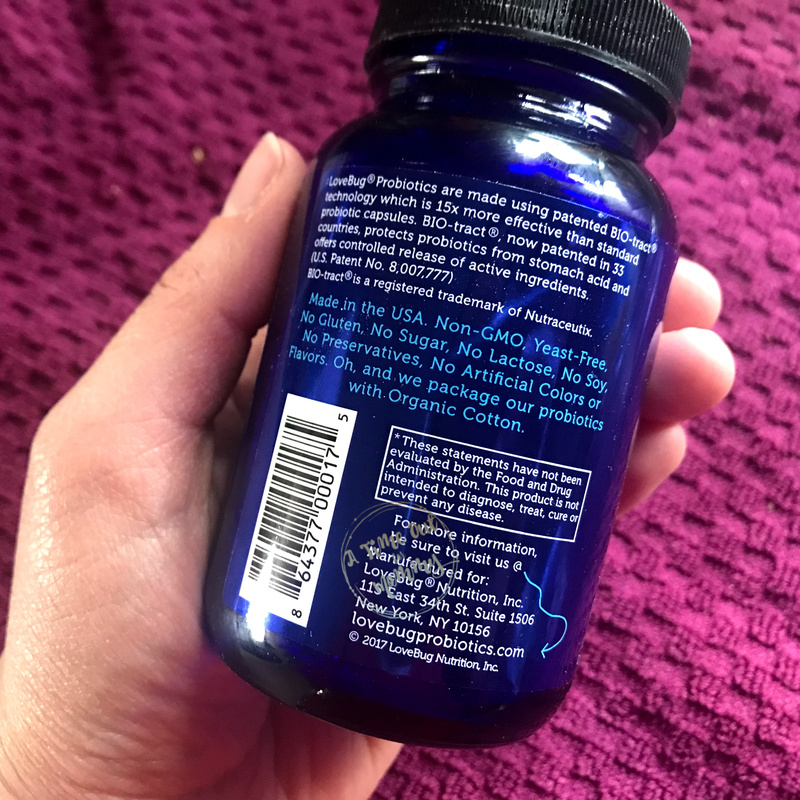 I love to share my arsenal of keeping our home healthy, but today I want to talk all about probiotics and why I feel they are one of the most important supplements you can take. NO, I’m NOT a doctor. NO, I cannot diagnose or help you treat any illness or ailment you have. But as someone who feels she has benefited in the most important ways by adding probiotics to her routine since she was 20 years old, I have to share my thoughts on this. A good probiotic is important, and they aren’t all created the same. I won’t get into the different strains because I really don’t know enough about them. What I do know is that way before it was hip to take probiotics and I was introduced to them, the only place you could get them was the health food store where they had to be handled with utmost care and be kept refrigerated. 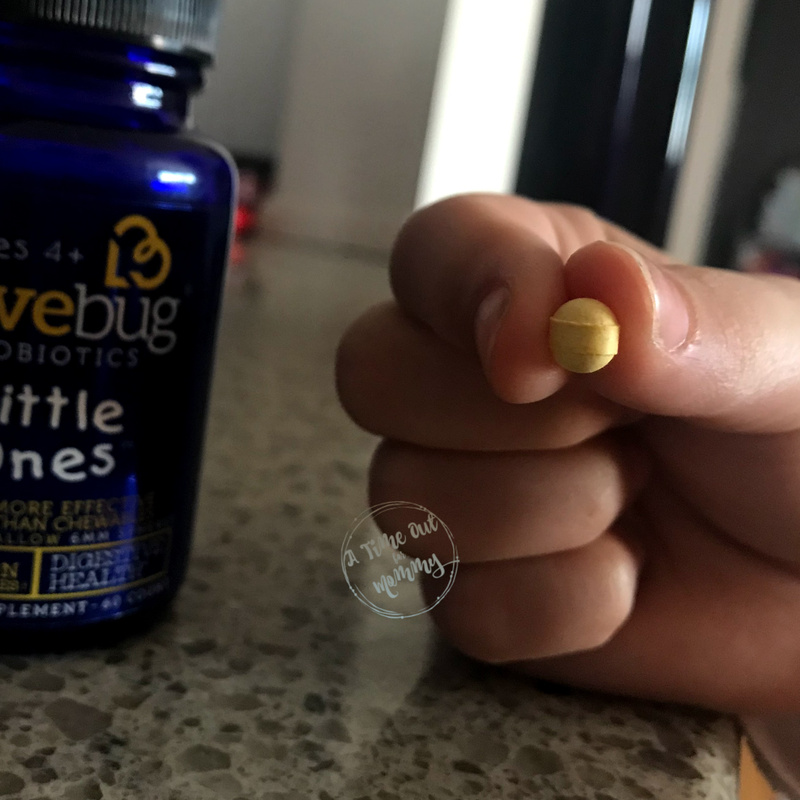 Well, some scientists learned how to preserve that bacteria in some shelf-stable bottles for the common folk like me, and here’s where we have LoveBug probiotics. 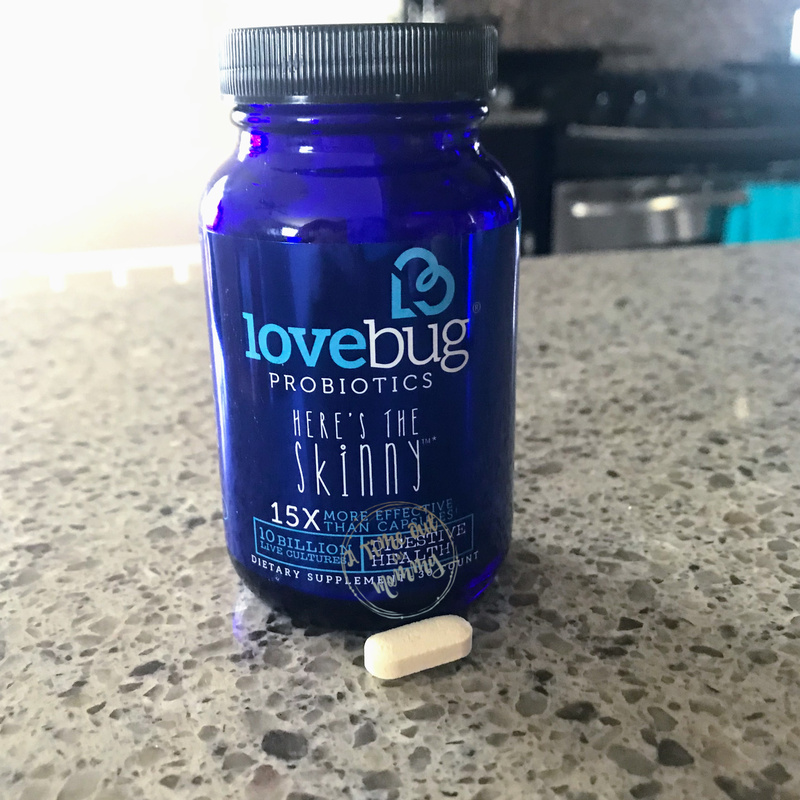 Featuring eight probiotic strains, Here’s the Skinny repopulates your microbiome and are said to streamline digestive function, quell sensitive stomachs, improve energy levels and elevate mood. Ask your doctor if Tiny Tummies is right for your baby from 1-4 years old. Tiny Tummies is the first line of staged probiotics for babies and toddlers, specifically designed to support their developing microbiomes. Tiny Tummies are multi-strain formulations that include the #1 most clinically studied strain L. GG and the super strain for babies, B. infantis. 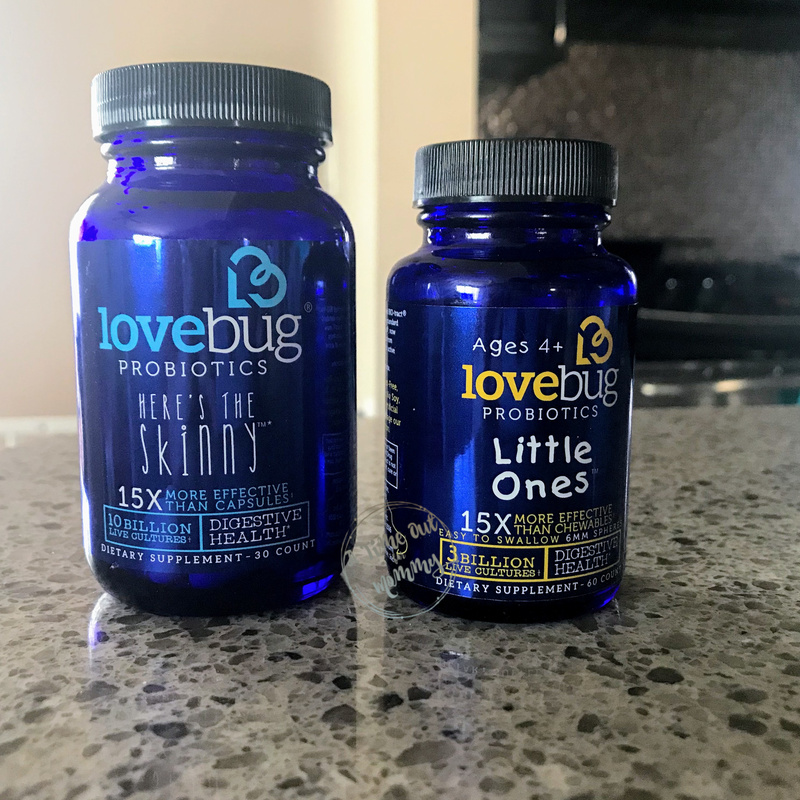 Visit LoveBug Probiotics for more information on all their products!